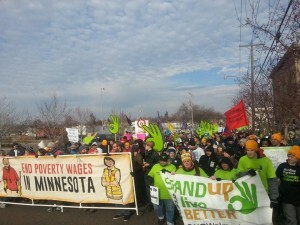 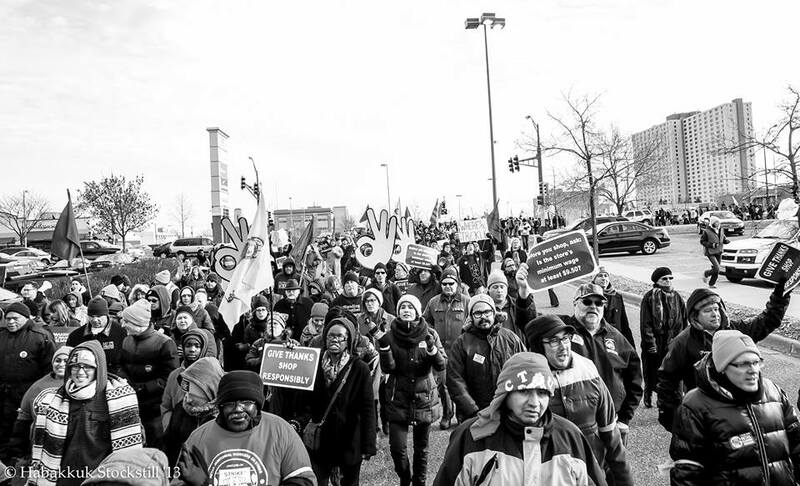 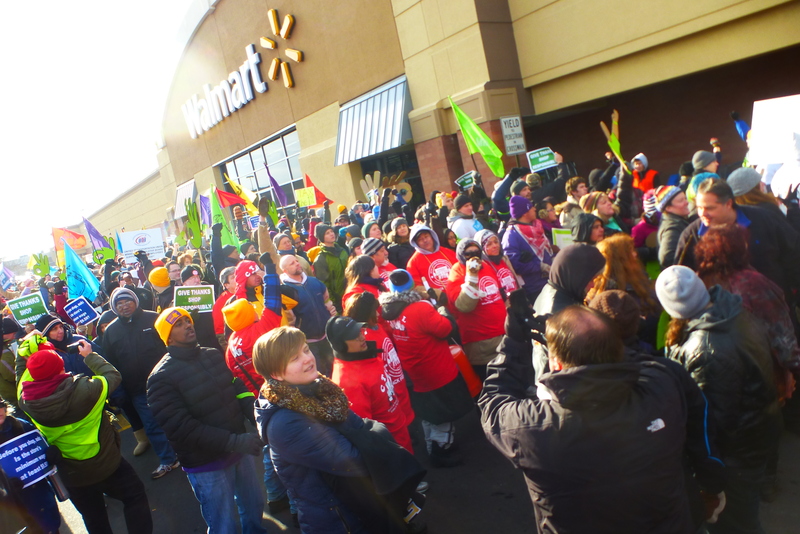 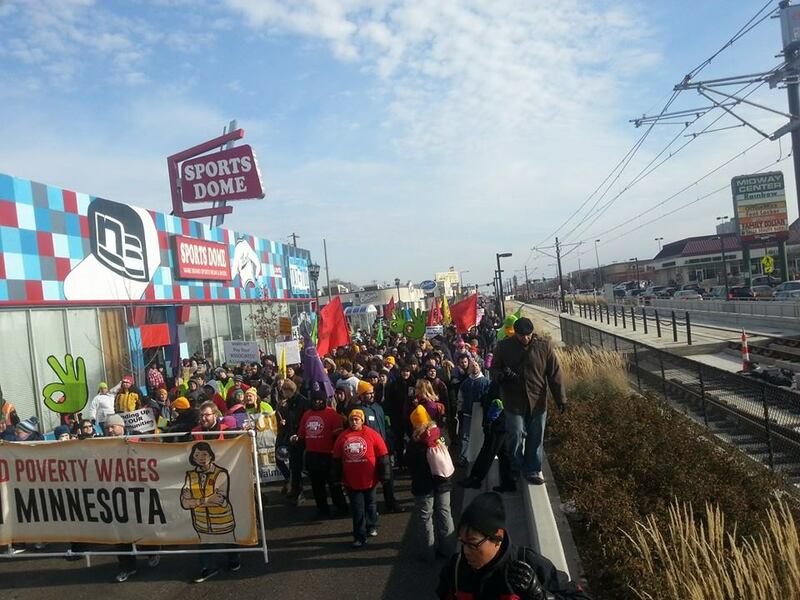 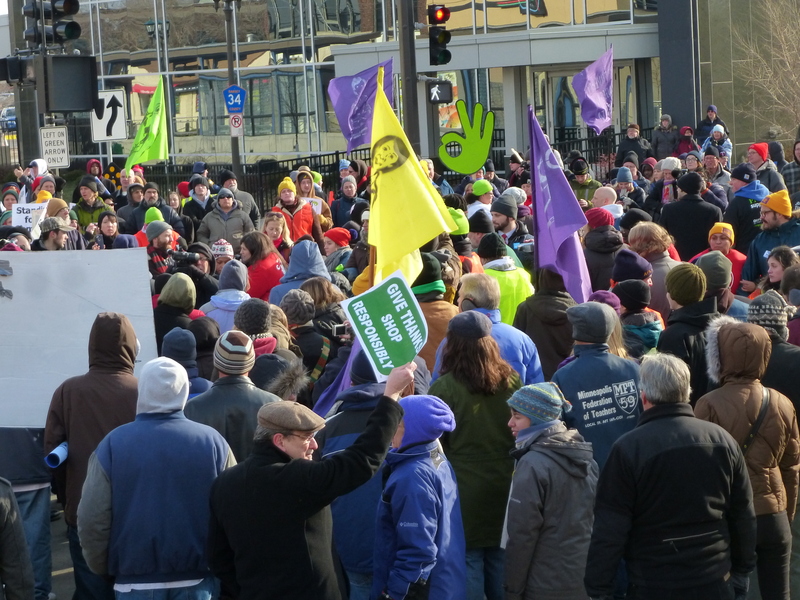 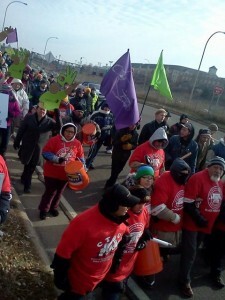 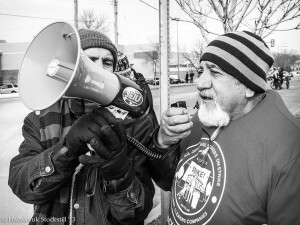 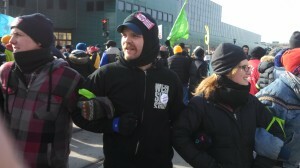 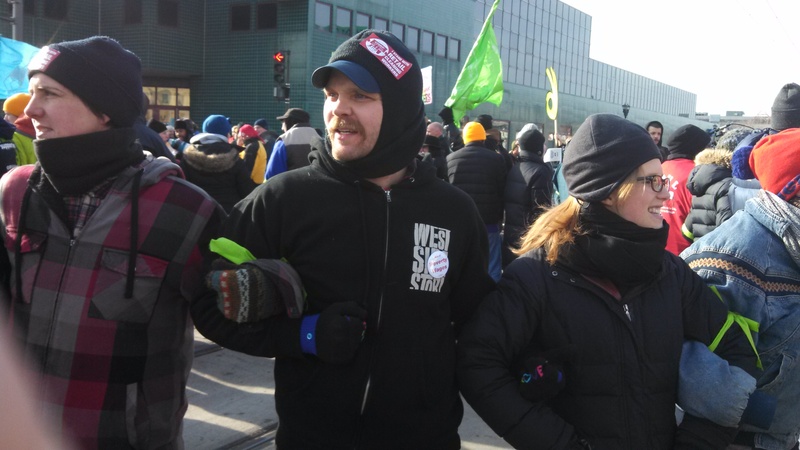 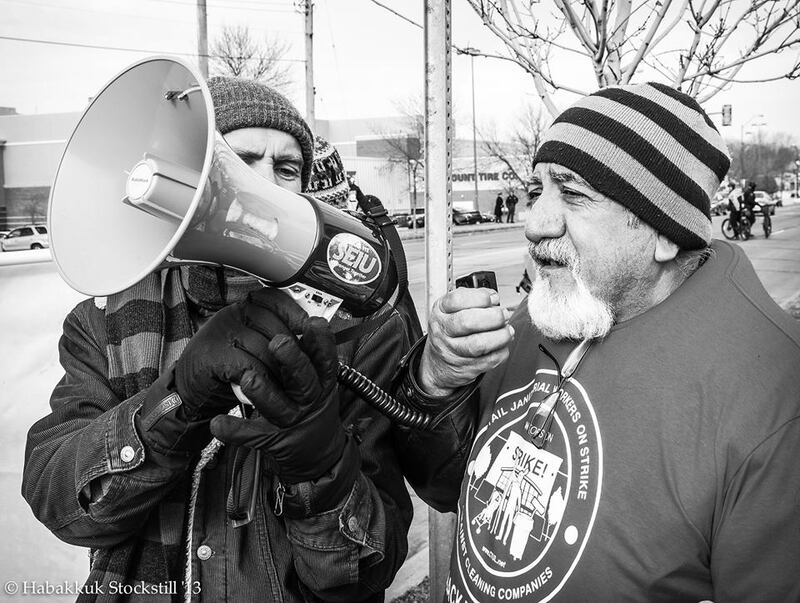 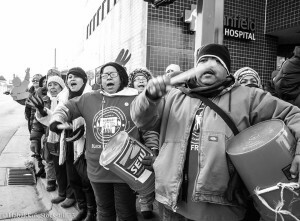 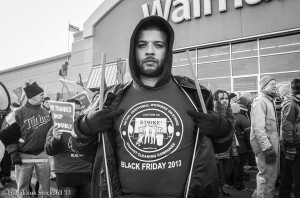 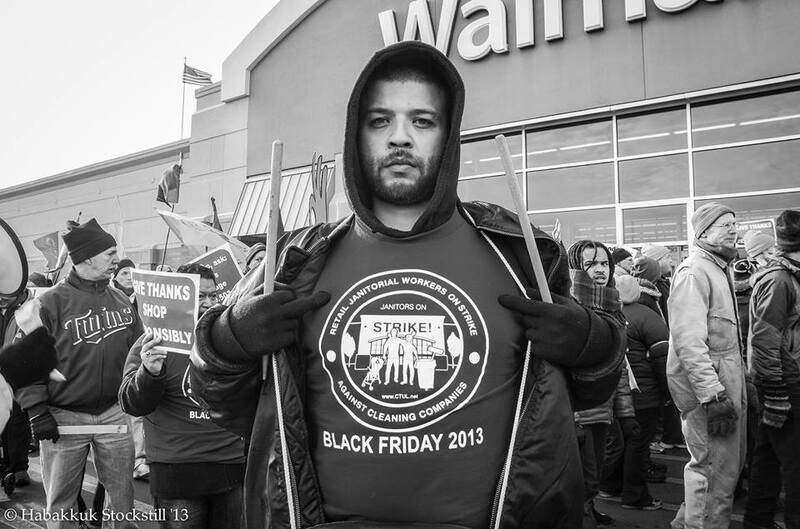 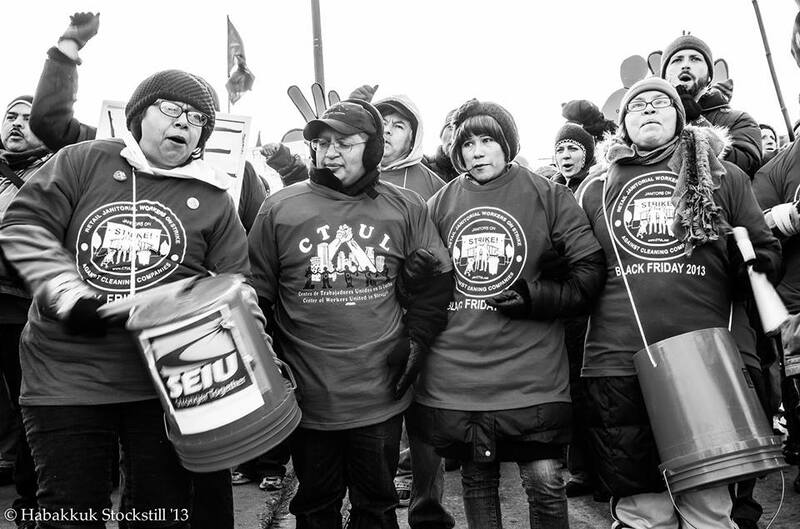 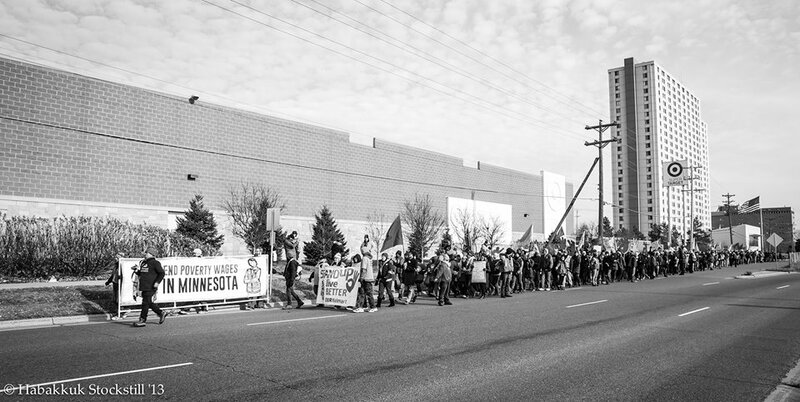 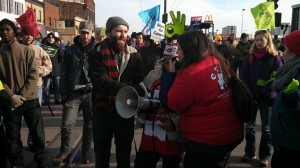 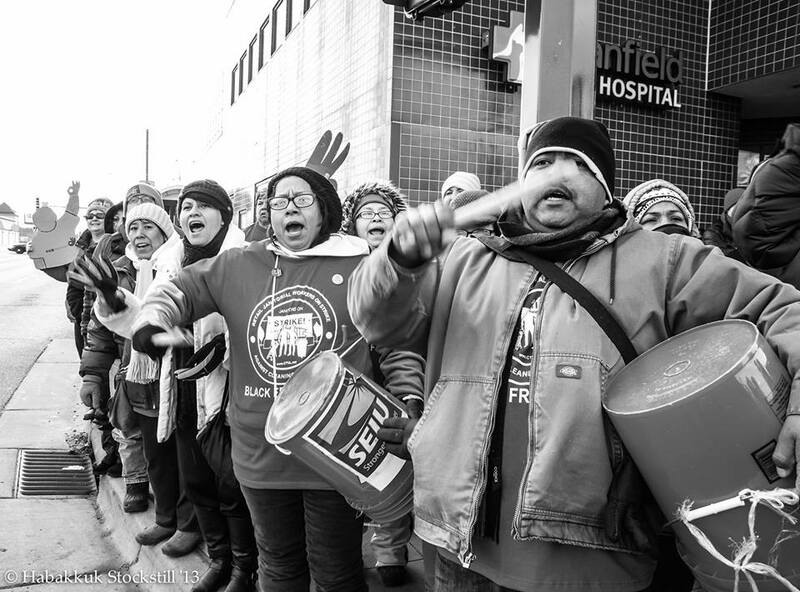 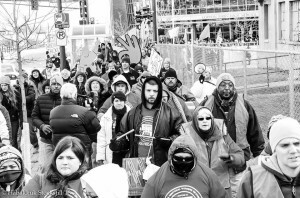 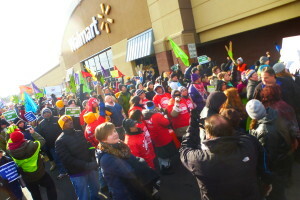 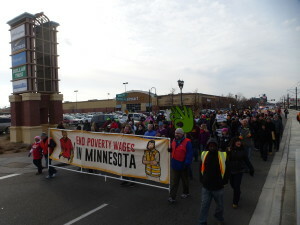 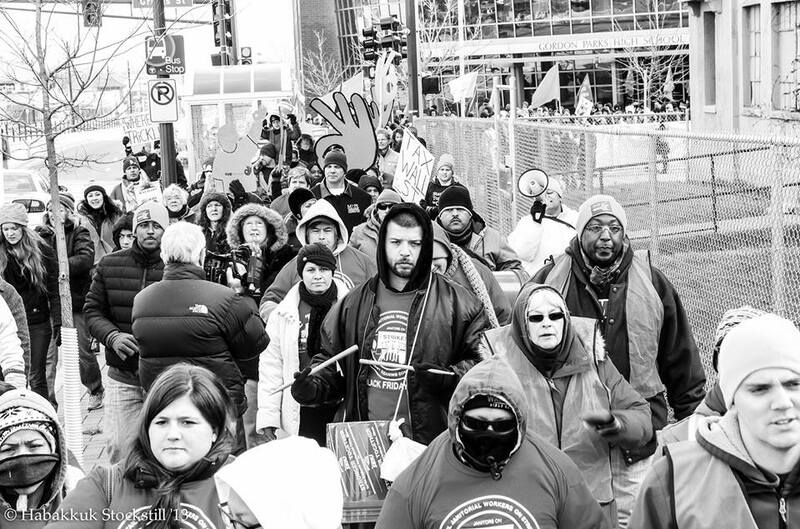 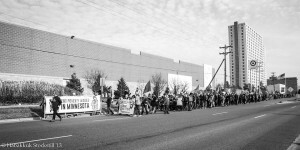 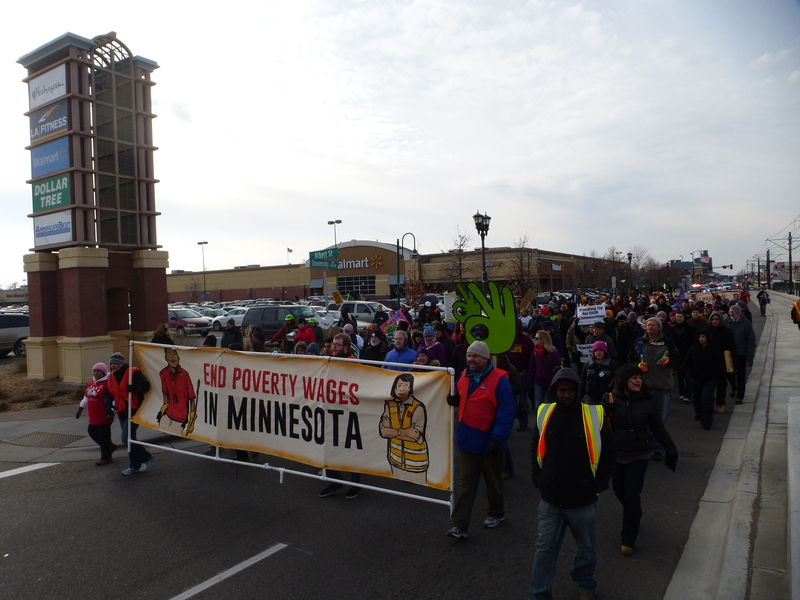 Over 600 low-wage workers and allies joined together for the March to End Poverty Wages in Minnesota, including retail janitors, Walmart workers, packing house workers from St. Cloud, airport workers and more. 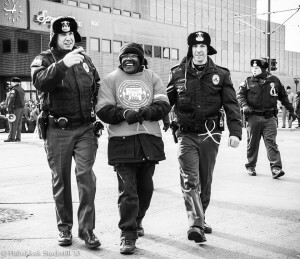 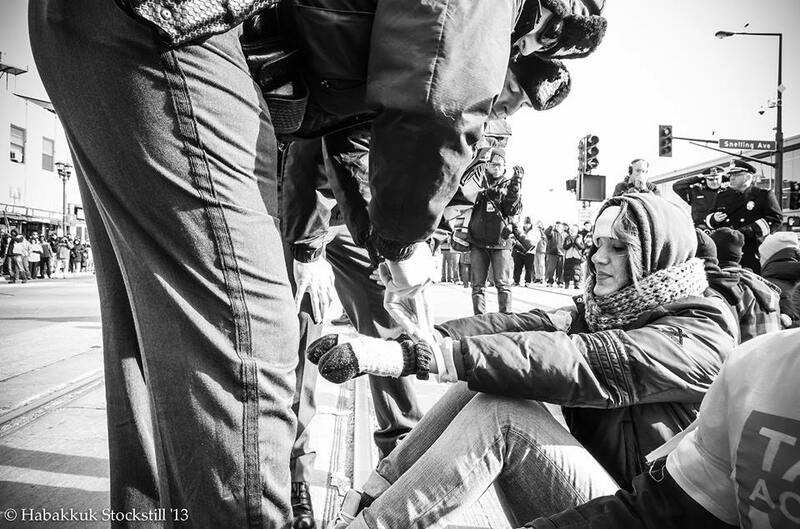 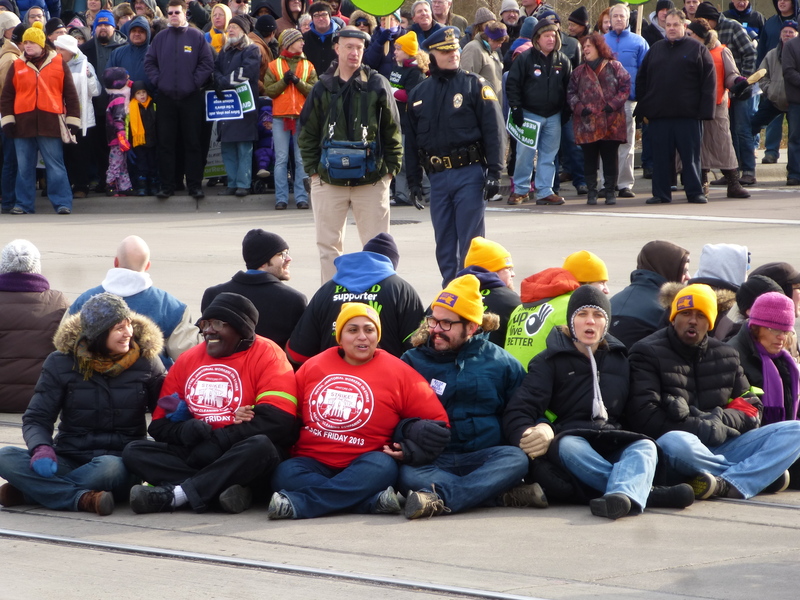 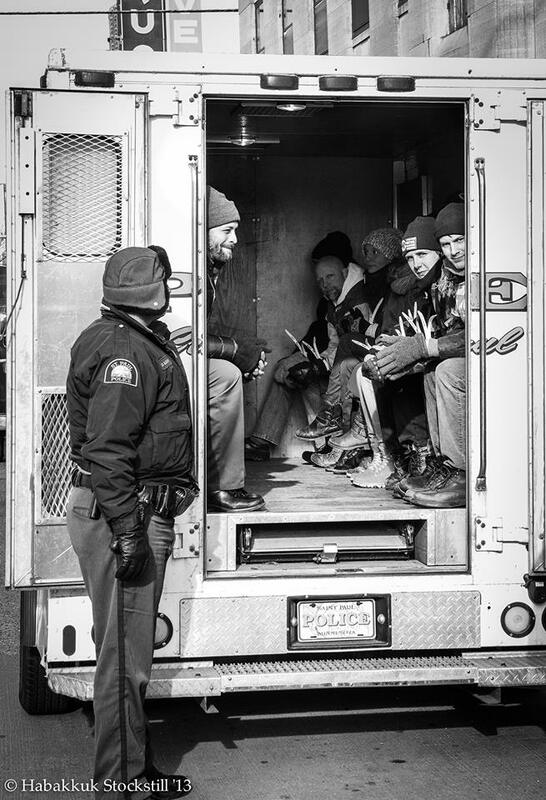 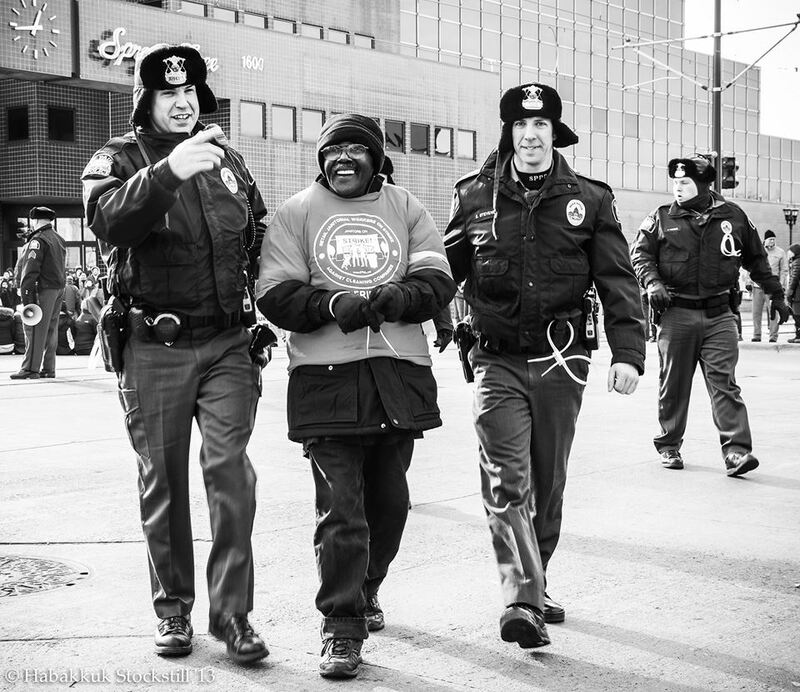 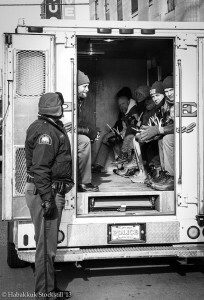 At the end of the march, 26 people locked arms in an act of civil disobedience and sat down in the intersection of Snelling and University, calling for an end to poverty wages. 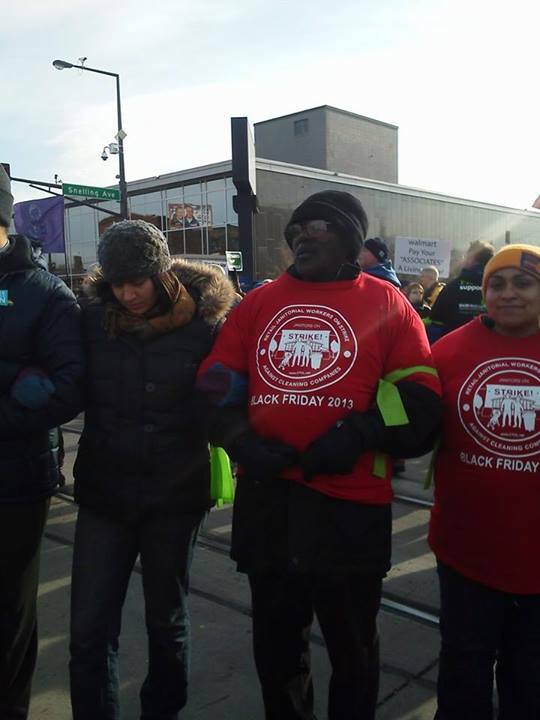 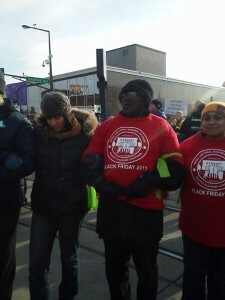 Among the participants in the CD action were Leroy Graham (Diversified Maintenance Systems employee who cleans a Target store) and six allies from the CTUL Solidarity Committee.